There’s nothing like a fresh start. A chance to wipe the slate clean and begin anew. That’s why the New Year is such an incredible time for so many of us. It’s a time where we can celebrate our achievements, forgive our failures and most importantly, make plans for instilling positive changes in our everyday routines–with the overall goal of creating a happier, more fulfilling lifestyle. But—let’s face it—keeping those resolutions is hard. They say roughly 80% of New Year’s resolutions fail by February. And of those that don’t fail right away, the statistics of maintaining a healthier, more positive routine for a long duration are less than flattering. Regardless of the reasons for these unkept resolutions, the fact is you may be missing out on some really great perks like greater health, more happiness and other great benefits that can help you attain the life you’ve always dreamed of. Despite the difficulty of keeping New Year’s resolutions, there is one thing you can do that will instantly increase your chances of being successful. In addition, this one thing can dramatically improve multiple aspects of your life for the better. We do it every day, unfortunately most of us not enough and even when we do, too often we are not doing it as well as we could, failing to reap the full extent of its many life-changing benefits. It is the power of sleep of course and it might be the secret weapon to keeping all your resolutions and making the changes you need to live your best life. In a recent article from Forbes they gave eight reasons why sleep is key to keeping New Year’s resolutions, including feeling happier, more energetic and more likely to stick to a diet. They also share studies and research that support these claims. As a small, family owned company with almost 50 years of experience helping people get the very best sleep, Schweitzer Linen has known this for years. Not just because of the many scientific studies showing a multitude of benefits from getting a good night’s sleep but because they’ve heard it first hand from their customers how much a better sleep has positively changed their lives. 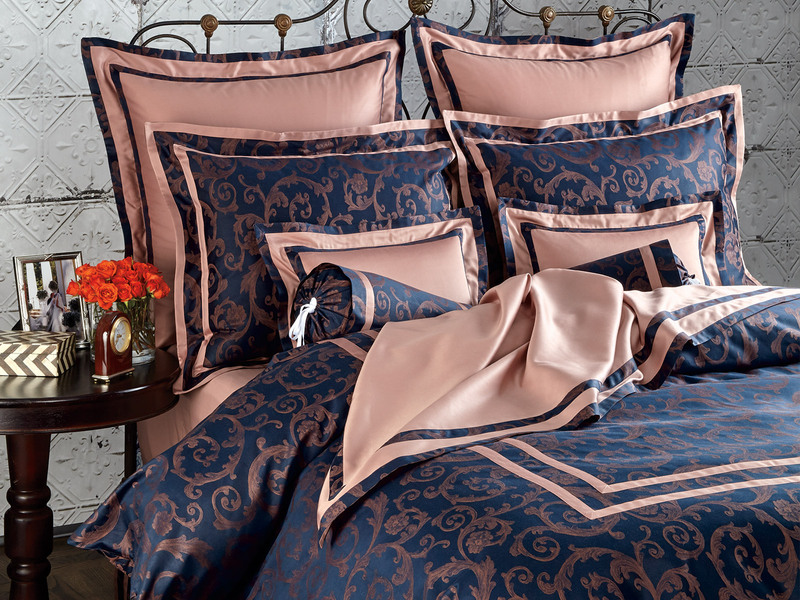 It’s one of the reasons they are so passionate about creating luxuriously comfortable and visually pleasing bedding. They truly believe it changes lives and it seems science agrees. And yet with all the research and so much data to support this, there are still way too many Americans not getting enough sleep. Sure you can place some of the blame on daily stress and the hectic go-go-go speed of our society but those factors are much harder to change and take a long time to do so. Schweitzer Linen wants to help you make changes that you can see and feel right now. And since improving the quality of bedding and enhancing the mood of your decor is one of the fastest and most effective ways of improving sleep, it only makes sense to start there. Not only will you experience a better sleep and improve your everyday interactions, you’ll be in a better position to achieve all your goals this year–and every year after. With just a few small tweaks to your bedroom, the results can have a massive impact on both your physical and mental health. We’re talking total gratification. Here are just a few of the ways creating a more fulfilling sleep and adding better bedding can help you stick to your resolutions this year. With the aid of deliciously soft fabrics, the right amount of warmth and the kind of quality that you can feel the second it touches your skin, going to bed becomes more of a cherished ritual than a nighttime routine. When you are able to rest more easily, sleep more deeply and are surrounded by colors and designs that foster feelings of joy and inspiration, you are far more likely to wake up (and go to sleep) in a happier state of mind. When you are happier you have a better chance of adhering to new regimes like diets and exercising. You are also more apt to be more patient; less stressed and will be more fun to be around the people you love. 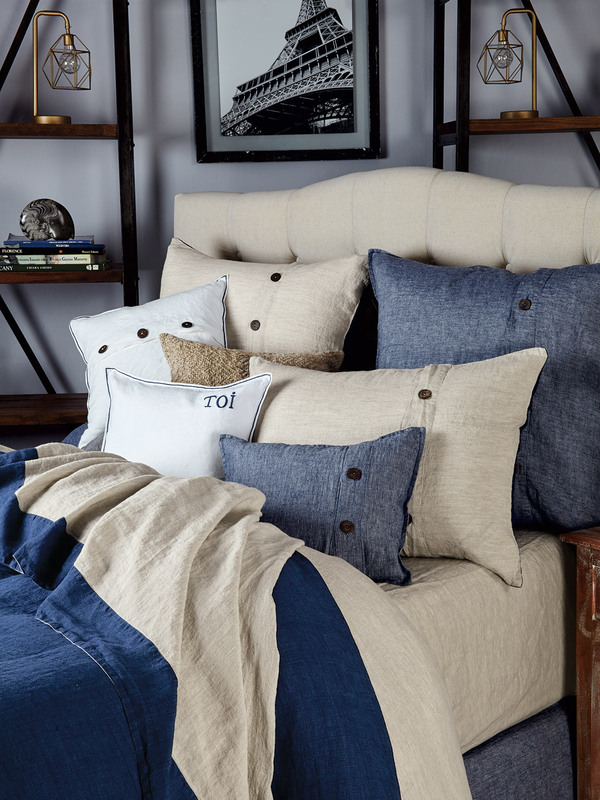 Whatever your personal tastes, Schweitzer Linen has hundreds of exclusive designs, from heritage-inspired classics to chic contemporary, that will inspire you on the daily, including some of the newest additions to the family like Martesana, Creme De Lace and their Lighthouse Linen Collection. With so many styles, the most luxurious materials and exquisite attention to the tiniest of details, creating your happy place has never been easier. Choose a fabric, find your design and before you know it you’ll be waking up feeling more refreshed, more positive and ready to take on your resolutions. It’s a simple notion. Get quality rest—feel less tired. That means more energy to tackle whatever goals lie ahead. Anyone who has tried to exert their mental or physical will while under the gloomy cloud of fatigue and low energy knows that it’s twice as hard, if not impossible. Not to mention a tired mind too often leads to poor decisions. Once you find the right comfort zone with the fabrics and level of warmth that’s right for you, you’ll fall into a deeper more satisfying sleep, waking with a vigor you may not even know you had. With more energy and positivity, tasks like exercising and dieting will be easier and finding the motivation to do it will be easier too. Your newfound energetic fervor will help you stay strong under the threat of your past vices and temptations. Plus, you’ll just feel better in general, about everything you do. Others around you will feel it too. In addition to fine fabrics and cozy comforts, surrounding yourself in designs and color tones that play to your strengths can give you the added boost you need. Colors affect us in so many ways, even if we’re not aware of it. Whether it’s the vibrant blues of our Fresco Collection or the shimmering brilliance of the Bonacieux collection, using the right colors will add a layer of bright optimism that will supercharge your day and keep you on the right track for all your resolutions. Doing something new isn’t always easy. In fact, it can be extremely difficult trying to quit a longtime habit or alter a part of you that has been running on autopilot for many years. When trying to traverse a tough terrain such as this, it’s important to stay calm and focused. By creating a soothing sanctuary in the bedroom, you can find peace and remain centered while you try to better yourself. This is vital to maintaining a positive change and will also help you in all of the situations you face in life. 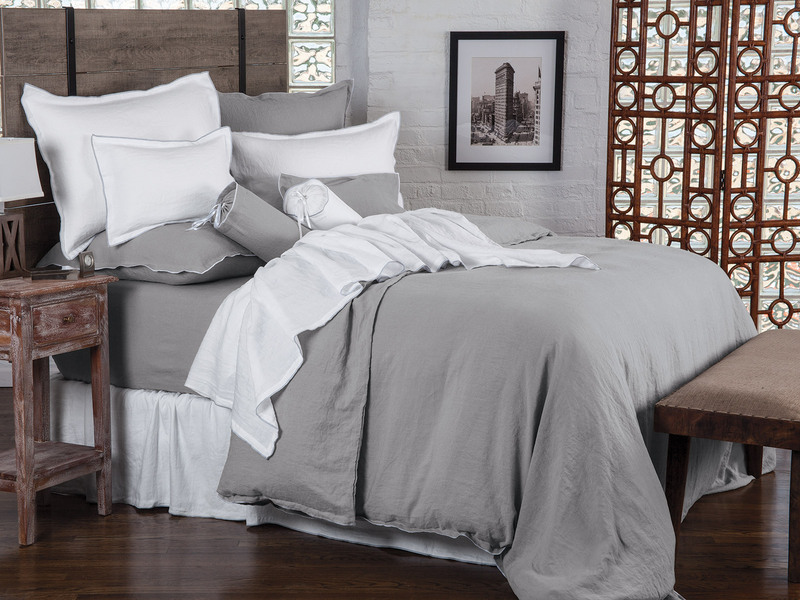 Whether it’s the soft tranquility of our Copeland collection or the lavishly comforting indulgence of our Logan set, the right bedding can be your core of calm for all things. In addition, soothing silky soft fabrics and fluffy layers of warmth will wrap you in a safe haven where you can let it all go and simply be. Finding this calm each day and having a special place away from the worries of the world will help you build confidence in whatever you are trying to achieve and you won’t be distracted by all the little things that can (and will) come up. Focus is key to staying on any path and sometimes the best way to achieve it, is to first let yourself go in a safe, welcoming environment that Schweitzer Linen can help you create. One of the top resolutions in its own right, many of us wish we were more organized. I’ve always believed that a cluttered room leads to a cluttered mind. And cluttered minds don’t make sound decisions. By keeping your room decor and bedding clean and well designed, making the right decisions will come easier. Plus, once you experience the benefits of a cleaner, more well presented room, you’ll want that feeling more and more. This often has a rippling effect on other areas of your life and is the key to making positive changes and maintaining those changes. You’ll also feel more pride about your home and the way you live. Adding the sophisticated simplicity of the popular Brooklyn collection or the subtle decadence of the Dover set will go a long way to keeping things streamlined and free of mind-blocking clutter. Let’s not forget the tiny details and activities in our lives that make it all worthwhile. The right bedding environment doesn’t just foster better sleep but it inspires a better bedroom experience and what you do when you are there. Whether your New Year’s resolution is to read more, study more or spend more quality time with your family, the right bedroom environment will inspire these activities and the comforting feel of soft fabrics will make it a place you want to more time in. Got a resolution to improve your relationship? Maybe the romantic frills of decorative pillows or satiny smooth sheets could lend a hand. Or perhaps just creating a cozy place for you both to be yourself and share in each other’s company is what you need to take your relationship to the next level and beyond. And since saving money is something many of us put at the top of our resolution lists, you’ll be glad to know that even with the exceptional quality and stunning original designs of Schweitzer Linen, you won’t find a better value anywhere else. Live happier, feel healthier and save while you do it. Seems like a no brainer. If only this were not just a resolution but also something we thought about each and every day. When we make resolutions during the New Year, we are really just saying to ourselves, “I can be better and by being better, my life (and those that are part of it) will be better too.” This allows us to fully appreciate and enjoy each moment we experience on this journey. The main desire of Schweitzer Linen is to make your life better. To provide you with the tools you need to sleep and wake each day thankful and joyful for the chance to live, to love and to experience. Since we spend one-third of our lives in the bedroom, there is no better place to start making this change. If we can find happiness and contentment there, it will carry over into all parts of our life. Starting and ending our days with the right perspective and outlook will transform them into something much more beautiful, memorable and worthy of your full appreciation. This New Year’s don’t let your resolutions fade into a February void. Discover a better, sounder sleep, find new perspective and positivity, and create the happier life you’ve always wanted by achieving all your resolutions and becoming the best 2019 you possible.